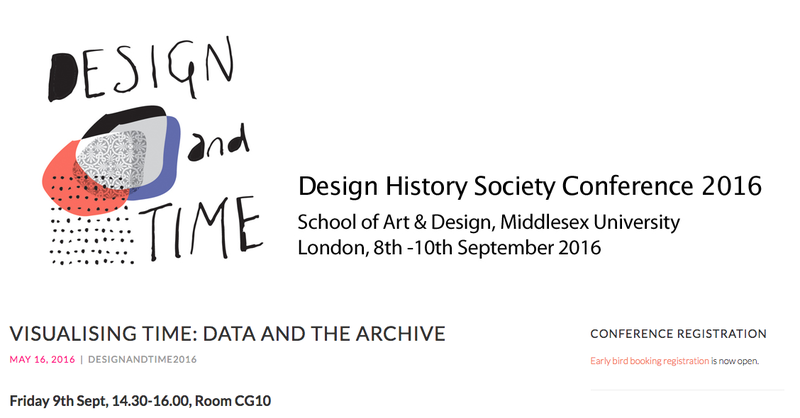 All three PhD students who have worked at the Royal College of Art with me on visualising historical time will be participating in the Design History Society conference 2016, which this year is on the theme of Design and Time. Olivia Vane and Sam Cottrell are continuing their studies, while Dr. Florian Kräutli, who graduated in July, is now at the Max Planck Institute for the History of Science in Berlin. Our aim in these presentations will be to raise the level of debate about dates. Since chronology moved from being a proper discipline in the seventeenth century to a kind of silent scaffold for knowledge in the eighteenth century, we have all tended not to take dates seriously. Our presentations are a plea for a deeper engagement between disciplines in tackling these problems, where dates are obviously valuable data, but also a problem. Visualisation reveals ‘good’ information - info we hoped and expected to see - but also ‘bad’ information that forces us (all) to think more deeply about the way we position objects in time, both as historians and as designers. The conference is at Middlesex University where, as it happens, my work on these themes began, helped by two enterprising Masters students, Emma Bevan and Aleksei Kudikov. 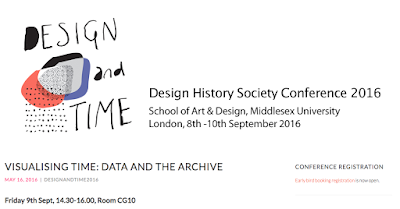 Speaking of which, we will also have the pleasure of presenting with Zoë Hendon, Head of Collections at the university’s Museum of Domestic Design and Architecture, who supported that project back in 2009 and who has collaborated so generously with us again recently.